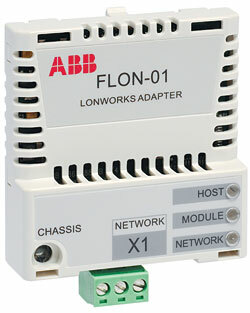 The FLON-01 LonWorks Adapter is designed for the E-Clipse Bypass option for the ACH550 drive in HVAC applications. The adapter mounts to the bypass, allowing serial control and monitoring of the bypass and drive. It also allows LonWorks connectivity of the bypass and drive. 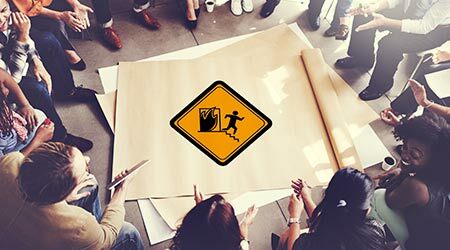 Both the bypass and drive have a unique node identification, providing the building automation controller with a network interface to the bypass, even if the drive is out for maintenance or service.